We truly are living in a golden age of the beard. Magnificent facial hair can be seen in all walks of life, not least in the world of professional sport. Here’s The Beard Emporium’s countdown of the top 5 beards in sport. Since the loss of Gordon D’Arcy magnificent beard to world rugby, it’s been left up to Jake Ball, the Welsh lock forward to carry the torch. Currently facing stiff competition in the rugby world from Adam Kleeberger, the Canadian international, and let’s face it, there aren’t many words manlier than ‘rugby’, ‘beard’ and ‘Canada’. Since the 70’s beards haven’t been as evident in the NBA as we may like but James Harden, the Houston Rockets shooting guard is doing a stellar job at representing the hirsute. What’s more, the famous beard has become Croation illustrator Filip Peraic’s muse – and why not?. One of the most memorable scenes from Sochi 2014 was the Canadian bobsled team tearing down the ice like a bunch or enraged grizzlies. Tim Randall launched the #beardmode hashtag and says, to quote “a beard symbolizes manliness and what it means to be a man.” We couldn’t have said it better ourselves. Justin Kripps even managed to get a twitter ban from the Russian authorities. A case of the Russian bears being intimidated by the Canadian Grizzly beards? The defensive end, currently a free agent but for the past 12 seasons a Pittsburgh Steeler, has a beard with a life of its own. Keisel refers to his beard as a “beautiful thing” and “the greatest beard of all time”. But what really stands out is the use of ‘Da Beard’ for good. For the past 4 years, Keisel has shorn the magnificent beard at the end of the each season, so far raising a tens of thousands of dollars for the children’s hospital of Pittsburgh. There could only really be one man at the top of this list. 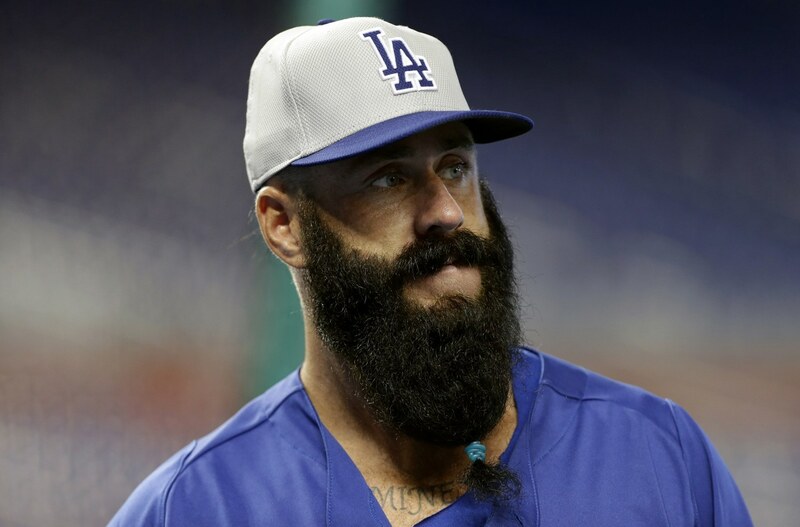 Brian Wilson, the LA Dodgers and former SF Giants pitcher truly boasts the most marvelous facial hair in all of sport. Fear the beard indeed. What do you think? Have we covered all the bases? Are there other magnificent manes that should be on this list?